On Tuesday, June 6, United States District Judge Vince Chhabria granted Sierra Club and San Francisco Baykeeper’s motion to intervene in developer Phil Tagami’s lawsuit against the City of Oakland. The lawsuit challenges the City’s ban on coal storage and handling at a marine terminal to be located on the City’s West Gateway waterfront property near the foot of the Bay Bridge. The move granting intervenor status was foreshadowed by comments Judge Chabbria made at a hearing on April 20, but, until Tuesday’s written order, the environmental groups did not know for sure if they would be parties in the lawsuit with the power to take discovery, bring and oppose motions, and participate at trial. 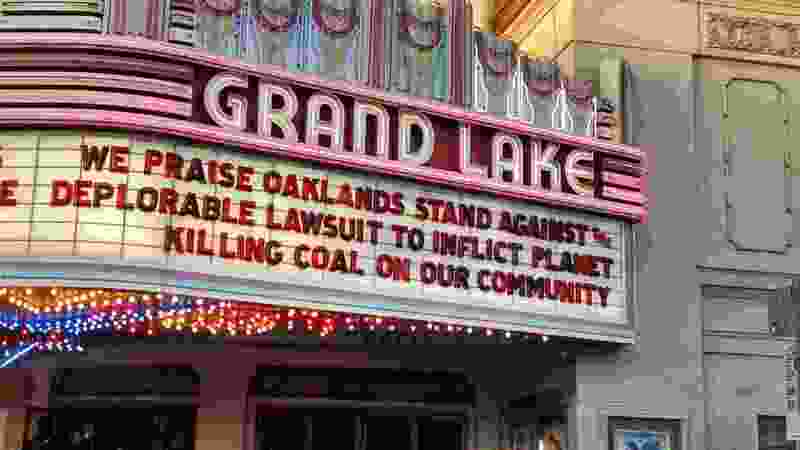 “No Coal in Oakland is encouraged that the City of Oakland will have the support of a gifted team of environmental lawyers representing two of our allies in the struggle to keep coal out of Oakland,” commented Michael Kaufman on behalf of NCIO. Although intervenor status will enable Sierra Club and Baykeeper to participate fully in defending the City against the developer’s claims, the judge’s long-awaited order stated they will not be able to prevent the case from being dismissed if the developer and the City reach a settlement. Tuesday’s order also denied two separate motions to dismiss claims in the lawsuit, one motion brought by the City and another by Sierra Club and Baykeeper. A motion to dismiss can only be brought at the beginning of a lawsuit. In it, a defendant argues that, even if all the facts stated in the plaintiff’s complaint are true, the claim is not valid. The defendant can make legal arguments based on the plaintiff’s version of the facts, but, with few exceptions, cannot introduce facts to contradict the plaintiff’s claims. The City’s motion to dismiss sought dismissal of the developer’s breach of contract claim. OBOT, Tagami’s company, contends that, by banning coal storage and handling in 2016, the City of Oakland breached its 2013 Development Agreement (DA), which OBOT claims gave it a vested right to build and operate a bulk commodities terminal at the West Gateway site under the regulations as they existed at the time of the agreement. Judge Chhabria called the City’s argument a “strawman” and agreed with the developer that the point is not whether OBOT had an expressly stated right to build a coal terminal but rather that it had a right to build a terminal under the City’s regulations as they existed in 2013, which did not exclude storage and handling of coal. “If the City wanted to restrict the developer to an approved list of commodities – or to foreclose the handling of a particular commodity such as coal – it should have included language to that effect in the Development Agreement,” Judge Chhabria explained. Before the City adopted the ban on coal, it followed the provisions of section 3.4.2 which required it to hold a public hearing and gather substantial evidence to support the finding of a risk to health or safety. The City held an extensive public hearing that began with one of the longest City Council meetings in history on September 21, 2015 and ended nine months later with a final hearing on June 27, 2016. During the course of its inquiry into the health and safety risks involved in the transport and handling of coal in Oakland, the City received thousands of pages of scientific reports, comment letters, and other documents from advocates favoring or opposing coal. The developer contends that the City’s process was a “sham” and the evidence against coal does not meet the standard set forth in the DA. Judge Chhabria did not rule on the merits of these assertions, but rather ruled that “whether this ‘health and safety’ exception applies here is a question that can’t be answered on a motion to dismiss” which looks only at whether the lawsuit might succeed if the facts in the complaint are all true. Judge Chhabria explained that “both the ‘substantially dangerous’ standard and the City’s satisfaction of its procedural obligations are matters that call for factual development.” Thus, the contract claim will be open for discovery (including depositions, document requests, and interrogatories) and will be resolved at summary judgment or trial, which is set for January 16, 2018. A motion for summary judgment avoids trial on some or all of the claims in a lawsuit. Unlike a motion to dismiss, a summary judgment motion can present factual evidence including testimony and documents obtained through discovery as well as declarations. Either side can bring a motion for summary judgment on some or all of the claims in the case prior to trial. The judge also rejected Sierra Club and San Francisco Baykeeper’s motion to dismiss the developer’s claim that the City’s ban on coal storage and handling violates the Commerce Clause of the United States Constitution either by discriminating against out-of-state economic interests in favor of in-state interests or by posing an “undue burden” on interstate commerce. The judge held that OBOT’s “undue burden” theory was sufficiently well supported in its complaint to defer any decision on it at least until summary judgment at which point the City and intervenors will be able to submit facts to undermine it. The judge acknowledged that the discrimination claim was “substantially weaker, both conceptually and in terms of the facts alleged to support it,” but saw no practical value in striking it down as discovery into the different versions of the Commerce Clause claim would likely overlap. Again, as with the rejection of the City’s motion to dismiss, the court’s denial of Sierra Club and Baykeeper’s motion is not a decision on the merits. In order to prevail, the developer will have to prove its case. The judge’s comments on the interstate commerce discrimination theory suggests it is unlikely to survive summary judgment. Although Oakland’s effort to maintain a clean and healthy environment in West Oakland and prevent the burning of massive amounts of coal overseas may impact Utah’s coal industry, the developer has not explained how this shows an intent to discriminate against businesses from Utah in favor of local businesses. The complaint does not identify any in-state economic interests that will benefit from the ordinance. In order to prevail on the “undue burden” theory, the developer will have to show that the burden imposed on interstate commerce posed by the ban on coal storage and handling is “clearly excessive” in relation to the purported local health and safety benefits. Generally, courts will uphold even burdensome regulations enacted in the interest of local health and safety so long as they are not pretextual or flimsy. According to NCIO’s sources, the City and developer are pursuing ongoing negotiations at the same time that the litigation is moving into a phase of intensive discovery in preparation for trial. The environmental groups are represented by Colin O’Brien, Adrienne Bloch, and Heather M. Lewis of Earthjustice. Sierra Club is also represented by Jessica Yarnall Loarie, Joanne Spalding, and Daniel P. Selmi of Sierra Club. The City of Oakland is represented City attorneys Barbara J. Parker, Otis McGee Jr., and Colin Troy Bowen and by Kevin D. Siegel, Gregory R. Aker, and Christopher M. Long of Burke Williams & Sorensen LLP. OBOT is represented by Robert P. Feldman, David Myre, and Meredith M. Shaw of Quinn Emmanuel Urquhart & Sullivan LLP.